BeautySoAncient December 18, 2015 July 30, 2016 7 Comments on WHICH CATECHISM OF THE CATHOLIC CHURCH SHOULD A TRADITIONAL CATHOLIC USE? 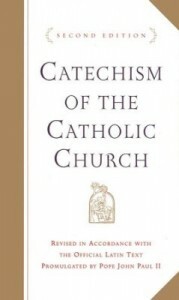 Even while learning about Catholicism on the internet, I already sensed that “traditional Catholics” had an aversion to this catechism. Nevertheless, I purchased a copy and I understood why. The language is flowery and beautiful, but it is nevertheless very vague compared to other catechisms I had seen. 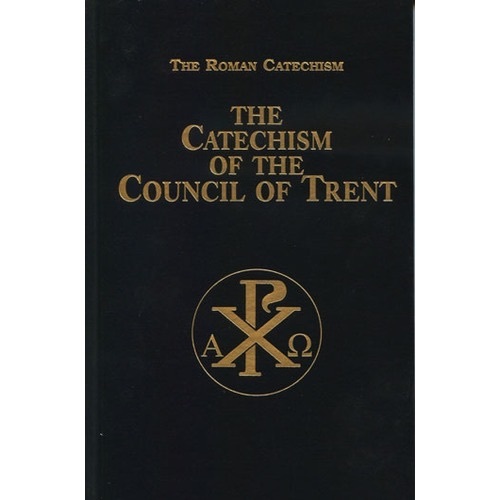 Therefore, I pretty much ignored that catechism for years and stuck to the Baltimore Catechism and the Catechism of the Council of Trent. Fortunately, our Catholic faith is not stagnant and we mature and grow in understanding. Eventually I realized that it makes absolutely no sense to ignore everything that came after Vatican II, including the CCC. The CCC is part of our patrimony. So, Which Catechism Should a Traditional Catholic Use? The CCC is a scholar’s dream. Every page has numerous references that you could look up if you so desire for greater understanding. What better way to not only understand the tenets of our faith better or to be exposed to volumes of work you might have never been exposed to on your own? 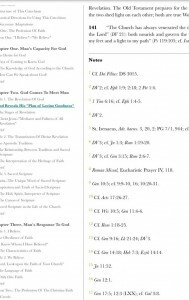 How many people actually read the Didache or Saint Augustine’s De Civitate Dei (City of God)? Okay, okay, but which Catechism Should a Traditional Catholic Use? 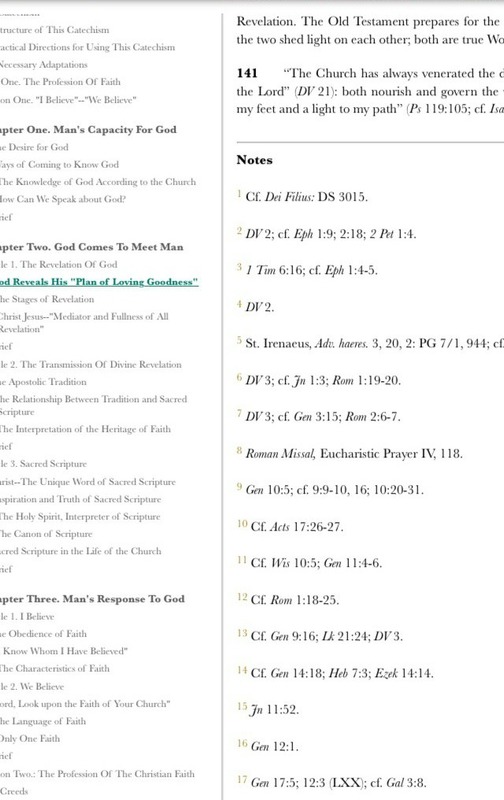 If any confusion or doctrine is explained in a vague or unsatisfactory way, look at the references. Do they match up to your understanding of the CCC passage? If they do not, then you can’t go wrong by following a clearer passage in a referenced text such as the Catechism of Trent and the Baltimore Catechism. If this is too much work and you’d prefer a simpler approach, the Baltimore Catechism will never fail you. My passion is evangelization and I’m thirsty for souls! If this site is a blessing to you, please consider donating to this site by visiting the donation page. Want some tips on how to live a life of EXCELLENCE? Check out this Catholic Personal Development page. Great post Cynthia. For years, while under the spell of my “traditional” Catholic friends, I too looked at the CCC as just another suspicious, post-Concilliar document to be ignored. But when I asked for specifics, that proved their reasons for dismissing it, they had none. It is actually a nicely assembled synthesis of Church teaching. And, as you noted, the footnotes and references are a treasure in themselves. I hope you don’t delete this. 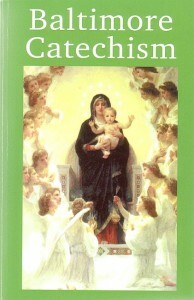 I am a covert to Catholicism from paganism. My problem is that the post Vatican II church teaches that false religions are worthy of esteem. No one has the right to do evil but civil authority can prudentially tolerate it. In fact JPII and his successors have continuously broken the first commandment and committed acts a previous pope wrote was apostasy. The pre– and post- Vatican II teaching in ecumenism and religious liberty are diametrically opposed. It’s almost as if they think pagans will be offended and so the gospel should be modified to make them feel better. These are people deceived by the devil and on the path to hell! You notice real problems with churchmen and what they are saying in these days. Stay steadfast in your faith, and let it not waver. And yes, there are some problems in the new CCC, but there are some beautiful passages too. So yes, some kind of balanced, and even eclectic approach to it is needed. You used one of my favorite words: balanced. That’s the approach I take. You mean the Catechism of the Catholic Church, right?